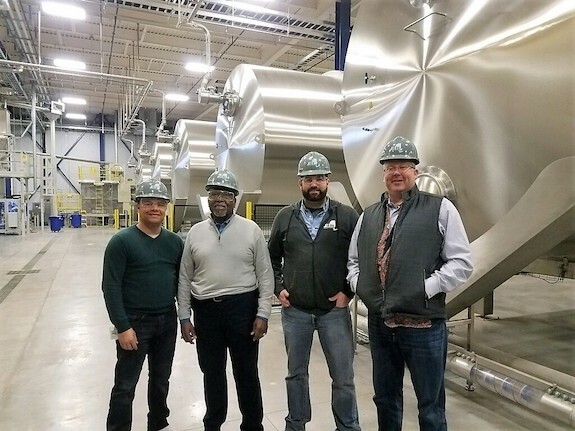 Last week, news circulated that Attis Industries signed a $20 million asset purchase agreement with Sunoco LP to acquire and operate its corn ethanol plant and grain malting operation in Volney, NY. The transaction is expected to close later in the quarter. It’s an old Miller brewing plant that was retrofitted some years ago as an ethanol production facility, upriver a few miles the shores of Lake Erie, along a stretch of road that in grander highway-naming days was part of the Theodore Roosevelt International Highway. So, it’s a place that knows about change, and innovation, and there’s more than a little behind this project acquisition. What especially caught industry attention was the teaser that “Attis will use the facility to produce low carbon cellulosic biofuels and plans to invest additional funds to enable it to meet growing demand in New York state,” and let’s look at that in more detail. Turns out, transformation is planned on several fronts, and cellulosic is one of the later phases, though of course a signature development. Between now and then, however, some developments that may be more evolutionary than revolutionary in scope — but a solid century integrated biorefinery is based in finding all the means, even if using more proven technology, of finding extra pennies in the materials stream. Especially interesting in the New-York-is-not-Iowa equation because New York is replete with dairy cows, dairy cows don’t tolerate high oil levels in the dried distiller grains, and dried distillers grains as well when corn oil is still present, and there can be more value, locally, in protein if you take the corn oil out, and corn oil is itself a valuable material trading at around 25 cents per pound, making at at 1-2 percent one of the smaller fractions in the corn kernel but the most valuable, double the value of starch converted to ethanol and triple the value of DDGs. So we’ll mark down the application of corn oil extraction technology as an early deliverable for this project — and as the co-inventor of the original industry corn oil extraction technology (during his tenure at GreenShift), we’ll note that Winsness knows as much as anyone about that technology and its application in corn ethanol plants. But as the saying goes, there’s more. For one, let’s add in the opportunities to take advantage of local dairy waste streams, via anaerobic digestion, to supply cheaper and more sustainable power to the plant. And let’s not overlook the opportunities to generate power via cheap New York biomass as opposed to utilizing natural gas for heat and power. Let us emphasize “opportunities”, Attis hasn’t yet closed on the transaction and would need to license and deploy those technologies on site. Plenty of suppliers, these are proven technologies, just a matter of ensuring they pencil out, finding a willing lender and executing. Good, smart moves that makes sense in New York that improve — though not transform — the efficiency of an 80 million gallon ethanol plant, which otherwise will have the same problems as all single-plant operators in getting the economies of scale to support more technology, more improvements, and be competitive at a time when ethanol prices are at cruelly low levels and profit is very hard to come by. More acquisitions might add to the strength of Attis in that regard — and that again leads us to the question of whom that willing lender or non-dilutive investor might be. After that, the transition from a more independent and effectively-run first gen plant to a smart biomass hub becomes a little more speculative. One step forward is to put that corn oil towards a co-located biodiesel plant — one that runs efficiently and financially effectively at, presumably, smaller-than-worldscale volumes. After all, an 80 million gallon ethanol plant generates around 3 million gallons of corn oil, even at good efficiency. How to get the opex down? First, shifting to lower-cost feedstocks such as corn oil, and working around the difficulties and costs of working with oils that have high free fatty acid levels, like corn oil, using RPS supercritical biodiesel tech. RPS offers its Biodiesel Production Process through Supercritical method. The Supercritical Biodiesel Production Process is the third generation technology that does not require any catalyst whatsoever to convert Feedstocks (Oils & Fats) with a wide range of Fatty Acid range between 0 to 100 percent to Methyl Esters and high-quality Glycerin. This production method has simplified operations compared to a conventional production process (such as esterification, glycerolysis, enzymatic and transesterification production methods) and involves minimal monitoring. The overall processing cost compared to a traditional production process is reduced by 30 percent including the carbon footprint. RPS has built to date two Supercritical Biodiesel Production facilities. So, we’ll mark that down as feasible — again, depends on the appetite of the lender and to an extent the equity players around the company to take on another technology integration. There’s discussion from Camp Attis of opportunities to deploy a corn varietal that has higher levels of corn oil — and that makes some sense for growers and processors so long as there is not a yield drag with the stress that might be occurring inside a plant to stimulate it to produce more oils. More oil, more money for all — after all, corn oil is selling for more than the starch fraction, more than double, but overall yield matters, and there’s nothing like this currently deployed in New York on a test basis that we’ve yet heard of. So, there’s an entire grower adoption effort that would have to be undertaken — not for the faint of heart. Included within the acquisition is the 1886 Malt House which is a direct beneficiary of incentives designed to promote the local farm to brewery industry. In 2013, New York created a farm brewery law to provide licenses only to those farmers whose beer is made primarily from locally grown farm products. Under this program, the Malt House will receive some tax-exempt status and contribute to the craft brewery business in the state of New York. The cellulosic biofuels options feels a little more sketched-out in our view, so far. 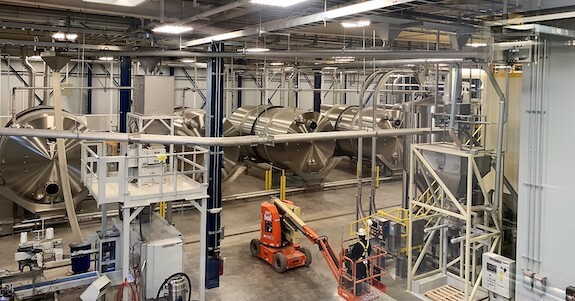 Attis is touting success in a 2 ton per day pilot facility that uses n-butanol as a solvent, as opposed to other harsh chemicals, to pretreat the biomass and pulp it for further processing. And, they’re looking at woods, with a technology that separates a pure lignin stream in the initial step rather than recovering lignin after processing. The partner appears to be AST, which has a cellulosic system in development. In 2017, Meridian Waste Solutions, Inc. became the exclusive licensee of the patented AST-Organosolv Process Technology from American Science and Technology Corporation, which brings with it and a lease for the AST biomass processing facility in Wausau, WI. Meridien, more or less, was the predecessor to Attis. AST uses organic solvents to separate the biomass into fractions in lieu of sodium-based solvents. These organic solvents can be efficiently recovered and reused without incineration, allowing for the recovery of nearly 100% of the biomass constituents. The cellulose, hemicellulose and lignin can all be recovered and converted into high-value materials whereas traditional methods only recover cellulose. One such high-value opportunity is created via AST’s ability to recover and produce a unique melt-flowing form of lignin. The production of a melt-flowing form of lignin is a major breakthrough that allows an otherwise under-valued lignin stream to capitalize on a host of new market opportunities that were previously thought too difficult to explore. As an example, when used as a high-performance resin extender in thermoplastics, lignin brings a value of $600 to $2,000 per ton, depending on the performance requirements, substantially greater than the $50 per ton value when incinerated. We feel that this should be in the “sketched out” rather than “no-brainer” department because ATS isn’t yet operating a fully-integrated demonstration, end to end, of the technology — and it’s been run in match rather than continuous feed mode. Nothing wrong with that, but it feels a couple of years away from having something that is financeable under current conditions, at scale, to the extent that we’ve effectively surveyed and understand risk appetite among lenders. Lenders need practically non-existent levels of technology risk in order to provide commercially feasible rates to borrowers — and we’ve not heard much about technology wraps or contact with those entities like New Energy Risk and Munich RE that are working in this space. The lignin-to-plastics opportunities available with AST’s technology seem real enough, but are they yet tested and proven enough? We’ll find out. In short, we’re looking at a technology that’s picked up patents, and has some very interesting features, and has been through investor scrutiny but not the withering due diligence process of project financing lawyers and bankers that has proven daunting to many a promising technology. Attis’ Winsness indicated that all of these technologies would be in deployment or significantly advanced — some as soon as this year, none moving forward in a material way towards an on-site project later than 2019. Clearly, one to watch. If we lack some of the enthusiasm of the investor group, it is more because of the unproven nature of some of the first-of-kind or near-to first-of-kind aspects of this technology set, and especially the number of innovations and the timeline. And, we don’t have a pathway yet established for the AST technology that we are aware of under the Renewable Fuel Standard, or approvals for California or other high-value markets, or lifecycle analysis, or fuel testing. Nothing in this technology set is impossible, but we wonder how all of this is going to get done and quickly. Attis Industries, the parent, ATIS is a publicly-traded small cap and that’s proven a tough structure in terms of supporting the long development and deployment timelines involved in projects of this nature. Those are timeline and execution-related quibbles rather than insurmountable barriers. We might add, paying 25 cents per gallon to acquire the project (and the Malt Shop too) is good business, even in these low-ethanol value times — so there are reasons to suspect that all of this might well be financeable. The corn oil extraction, and a shift to more biogas — if the financials pencil out — feel more realistic for the nearer-term. The biodiesel plant add-on, despite using a lesser-known technology, feel like a nice “local efficiency and effectiveness” play. So there are some aspects to like in the near term and some question marks to place in this one, in our belief. Integrated biorefineries and project hubs have been in increasing vogue in recent years because of economies of scale that can come from broadening the technology set and not just in intensifying the capacity of a single technology on site — and this is a good example in prospect. It feels like there is some natural hedging by accessing low-cost, high-value waste streams, local woody biomass, balancing ethanol with biodiesel, cross-utilizing feedstocks, and bringing better tech that’s more suitable to the opportunities presented by the geography. The hard data on timelines, costs, returns and the hard news that we have a closed acquisition and deployed technologies working on site — that’s the work ahead and the industry will await the new news.